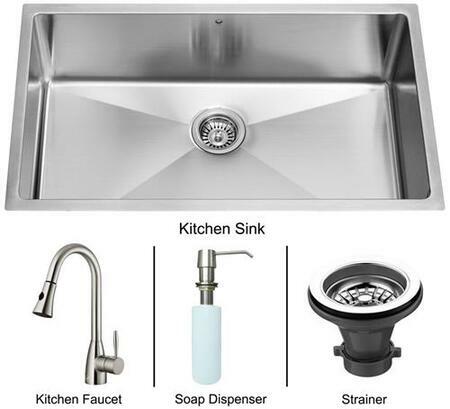 I bought a set with sink, faucet, Strainer, Grid, and Dispenser. Everything packaged very well. Everything is heavy and of high quality. This sink should last for many years and still look good. You get what you pay for. The sink is lovely and I get lots of complements on it. I like the large size, depth, and the colander is my favorite accessory. The verdict is still out on the faucet. After only a month of use, the spay nozzle doesn't shut off. It is very annoying. I'm going to contact customer support and see what they have to say. 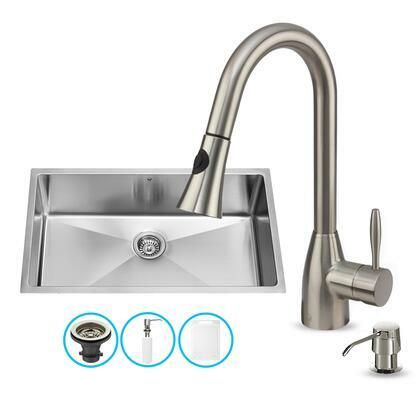 I haven't had the sink installed yet, but it is amazing! 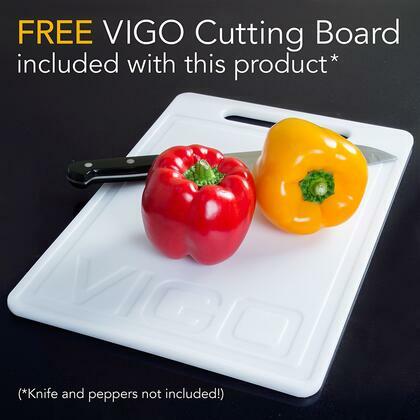 Beautifully well made, packed with extreme care! Very impressed with the whole product....I love all the accessories too! We've never had such a huge sink! Can wash the Thanksgiving roaster in it, not to mention the tamalera (for making tamales)! Could even bathe a baby in it! Wonderful! Very happy with new sink. 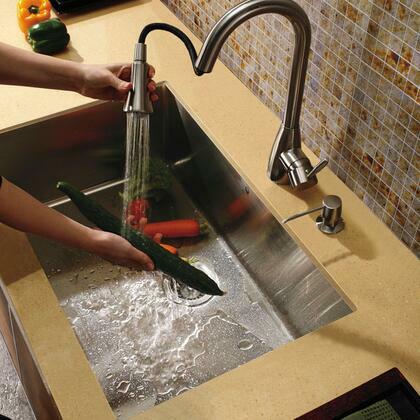 Large, deep sink, easy to care for. 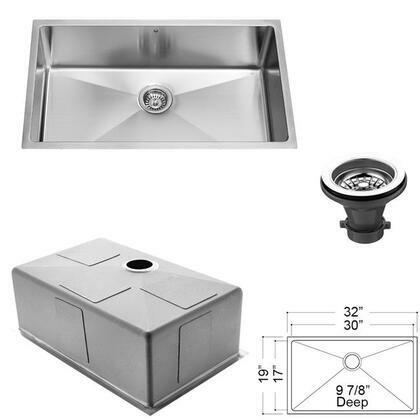 For the price and quality, not to mention the included accessories (faucet, colander, soap pump), this is a great sink. We are building a forever home and are not settling on any aspect. 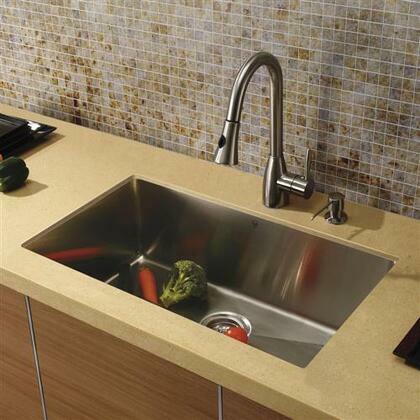 This sink is an example of quality and functionality at a great price. Highly recommend. 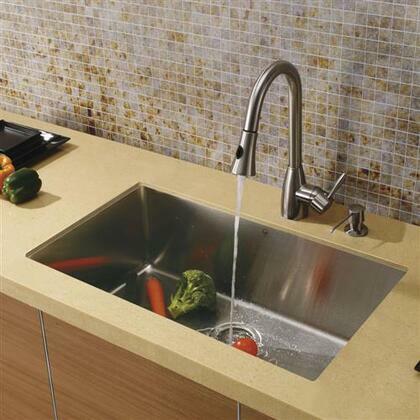 This is definitely a professional quality sink. 16-gauge stainless steel is quite heavy â€” I felt sorry for the UPS man who delivered it. 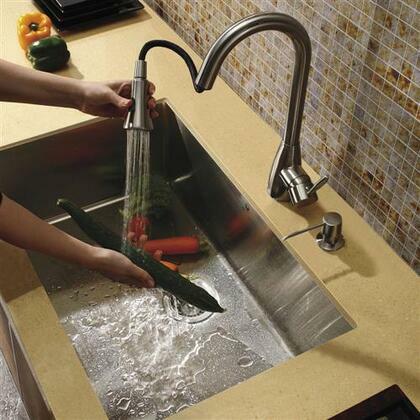 This sink replaces a 60/40 double bowl sink and is much more convenient. So far I'm loving it â€” everything about it screams "quality." The packaging was wonderful. 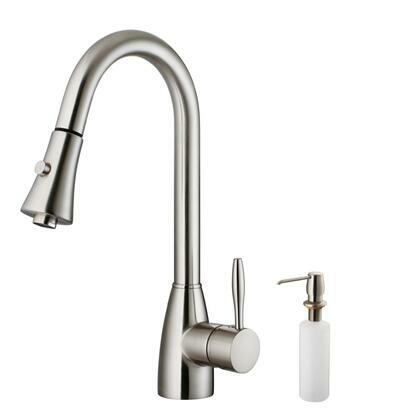 I've had the sink and faucet installed for 3 months and I love it. 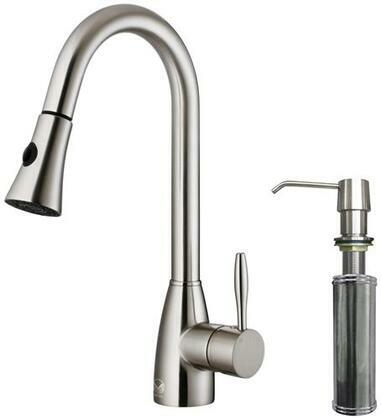 It's big, beautiful,and the faucet works nicely. Everything seems really high quality and it was a reasonable price. I've had people say that they wish they had bought that sink instead of the sinks that they bought. I brew my own beer, and I needed a large, deep sink, and a faucet that I could raise up high enough to get into the 15 gallon pots I use. This sink does everything I want it to do, and I could clean even bigger pots if I needed to. The only drawback is I had to order it online, it is not available in stores.